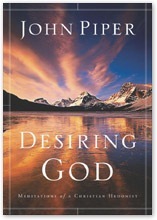 Desiring God by John Piper is on the book table at church at the moment. And someone asked me if I had read it – “Yup, Great book!” And the father person leans over and says: “You know he has a great website…” “Thank-you so much from your wife, the blogger. This is indeed a brilliant resource. You could have shown it to me a lot sooner!! !” This website is is full of great resources including free study guides for his books, not to mention the books are available for personal use as well. This is the part I love the most: There is a whole section, in the resource library, called biographies. Oh you won’t believe what a great resource this is. There is a whole list of Famous Christians to browse through. You can read the or listen to it, you can download the sound file and listen at your leisure. I could go on, but take yourself there and have a look! I recently wrote a post on Se7en Resources: Christian Heroes for Kids… and John Piper’s links are a great addition to these resources. As my kids wind their way through Christian biographies I will definitely be listening to these with them! Now I know I have been going on about the Sabbath and Family Devotions lately and reading Christian Biographies with your family is a great way to spend time together, they teach us about other cultures and give us a world view beyond our own front door. Besides that there is nothing like reading about a great Christian’s life to put our lives into perspective, they teach us about God’s providence, His great provision and His eternal plan. Next week I have a great biography to GiveAway… and I will post lots of resources to go with it so don’t forget to come back. Meanwhile, have a great week!